What kind of Packaging you need for Pizza Box?? One thing that can make your mood no matter how good or bad the situation is PIZZA. Why everybody love pizza?? The most straightforward answer can be Pizza is always there for you even when you have no one. From little to big things, everybody has its own choices. But pizza is the ultimate choice for everyone, and it should be. You can eat it anywhere and at any time. Pizza needs no introduction or advertisement. But your pizza brand will surely need it. Great taste and freshness are the primary and most essential things about pizza. But can all these things make your name stand out from competition?? Probably not! Almost all restaurants or pizza brands sell all kind of pizza with great taste. So, how can you set your pizza apart from others?? A Pizza Box which everyone loves to receive can be your marketing piece. The box not only delivers the pizza safely but can do more than this. It makes people excited when pizza delivers, and you can make their excitement doubled with custom pizza boxes. Take full advantage of this ordinary box to grab customer's attention. Custom Pizza Boxes not only communicate with customers but also give the memorable experience. It also preserves the goodness and delightful freshness of pizza for more extended periods. So, it is important to design custom pizza box properly. When it comes to designing custom, the solution should be cheap and productive. Design it in such way that it should influence the customer's perception about pizza. Pizza Box has not much evolved with time; it is still the same rectangular cardboard box. But you can make these boxes innovative, attention-grabbing and fun with custom packaging. Pizza boxes advertise your brand and deliver your message straight in customer's hand. If you are missing the customize packaging, you are missing an excellent opportunity to stand out from the crowd. Let's have a look at some tips to turn things around for Pizza Boxes. A plain brown box with just a logo or name will surely have no chances to get noticed. With the right mix of colors, graphics, and design, your pizza box can give a memorable experience to customers. Customer experience should unexpected, memorable and shareable. Give your time and money to make custom boxes memorable. It will not keep your current customers but draw in more. Pizza boxes are large; it provides more space to customize it. Add information about your company or your new offers. Adding some text to your pizza boxes is essential, it will help you to communicate with customers. Not print paragraphs about your company; nobody has time to read it. So, just add necessary information at the top so customers will quickly take notice of it. Investing in boxes is as important as spending at pizza. Many people think that quality of pizza can alone be enough to make a statement. Expensive custom boxes are a misconception. You can easily opt for custom pizza boxes within your budget. 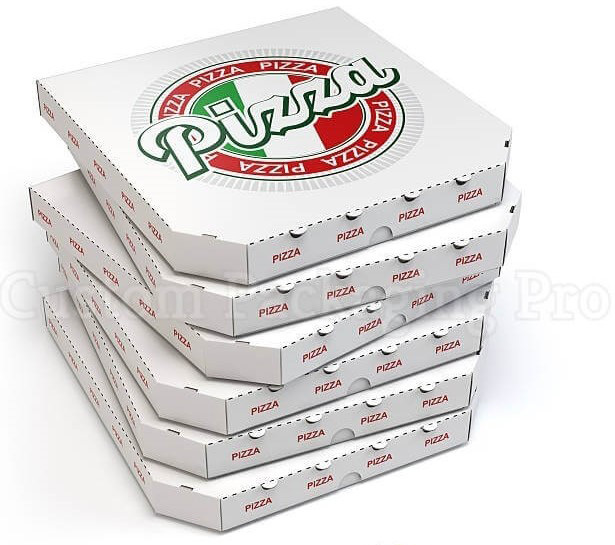 The material used for pizza boxes is cheap, and printing on these boxes is easily affordable. You will get many benefits by investing the small amount of money. Don't opt for typical colors for pizza boxes. Yellow, blue and green colors can help you to stand out. You can make these boxes interesting with unique graphics, attractive colors and a compelling call to action. Customers will remember you if you give them something fascinating to look at. Make a statement with unique pizza boxes as people will always like something that is unique. Personalization is must in custom pizza boxes. Thank you and handwritten notes, napkins, tissues or any other thing, that will make customers happy. You can also add discount coupons or can tell them about your new pizza. Not only it will make customers feel special, but even they will share it with friends or on social media. It will give you more exposure and market your brand cost-effectively. Your pizza box should be unique and more creative than your competitors. You can add unique features to these boxes. With box-toppers such as word making or search boxes, you can make them interactive for children as well as elders. It is a great way to keep customers engaged with your pizza boxes. People will keep it for more time and will remember you. Box-toppers can be helpful in advertising and banding. Pizza packaging is not only crucial for marketing and communication purposes but also makes its delivery safe and healthy. 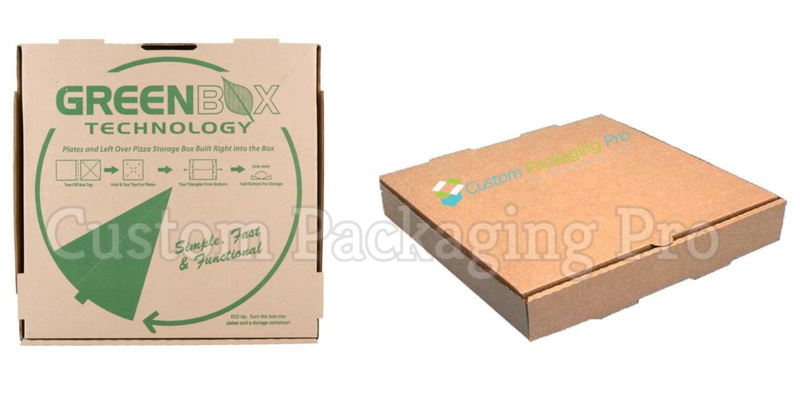 So, make your packaging perfect with Custom Packaging pro, we always cater your demands at reasonable charges.